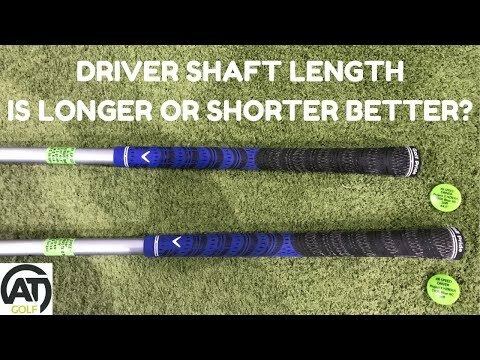 DRIVER SHAFT LENGTH – IS LONGER OR SHORTER BETTER? DRIVER SHAFT LENGTH – IS LONGER OR SHORTER BETTER? The longer shaft promises more speed but possibly less control while the shorter shaft promises more consistency, but which is best? The longer shaft promises more speed but possibly less control while the shorter shaft promises more consistency, but which is best?